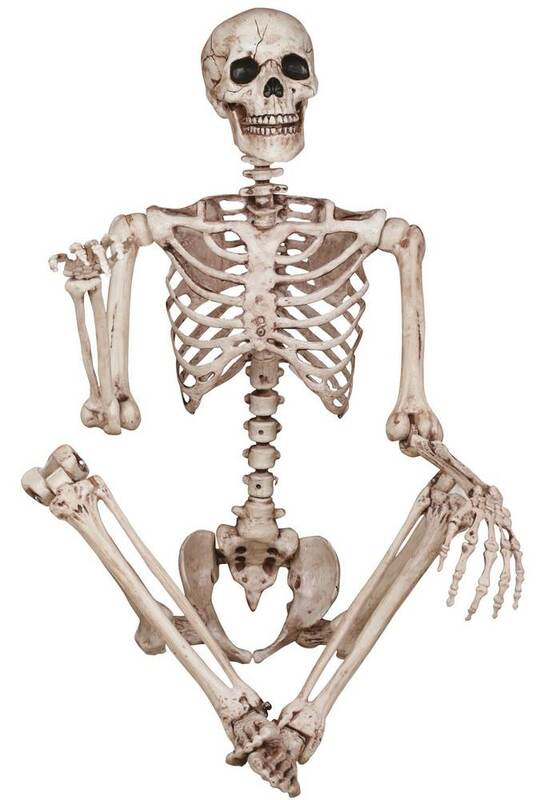 This 63'' skeleton can bend and stay in any position you desire. All the joints lock into place. Realistic old bone color. 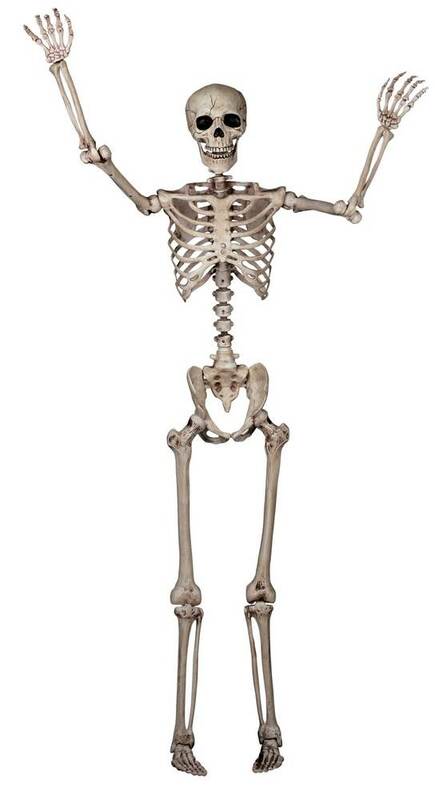 As far as full size skeletons at this price point go, its pretty good. I do want to note that the shoulder and hip joints are hinge/screw joints vs ball and socket. So, the range of motion is a little limited and it cannot stand on its own but it is pretty flexible and sturdy. The kids are having a great time posing him in new ways to make it look like he's doing something different every day.